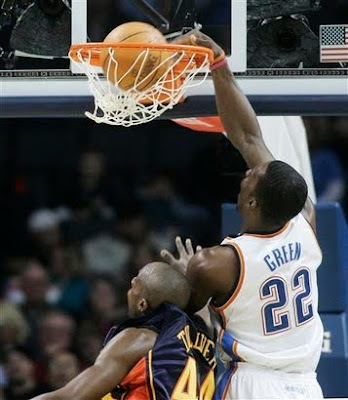 Jeff Green with not 1, but 2 dunks on Anthony Tolliver, via NBA. 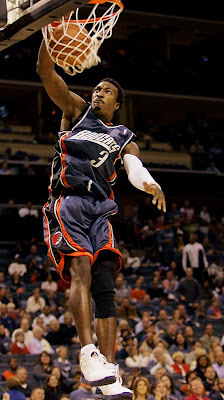 Check out Gerald Wallace's Top 10 Dunks, via NBA. Nicolas Batum dunking all over Kyle Korver who had no business challenging this play, via NBA. Terrence Williams posterizes Chris Kaman, via NBA. BC's Corey Raji with the sick alley-oop poster dunk against Clemson. Nice to see Jordan Hill making good use of his limited time on the court, via LilPharmacist11. 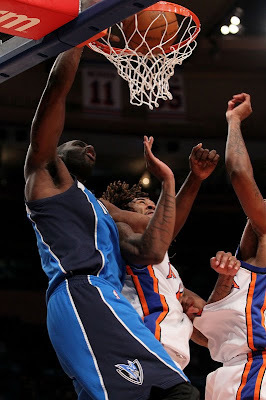 The Matrix with the fast break dunk on Jared Jeffries, via NBA. 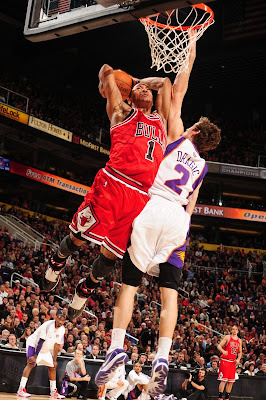 Derrick Rose cockin' back two-handed style on poor Goran Dragic, via NBA. , via NBA. Got plenty of angles with the pics on this one too. 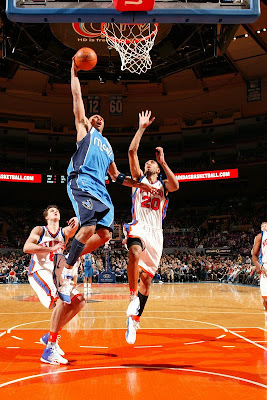 Kenyon Martin started the season off slow, but has been back to business dunking on people lately. 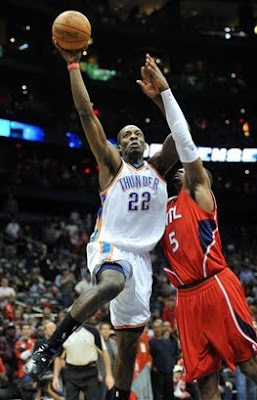 Boozer crushes one on big DeJuan Blair. Boozer has been pretty consistent this season with the facials. Sir Charles sends Pip to the floor, via GoldLakerLion. 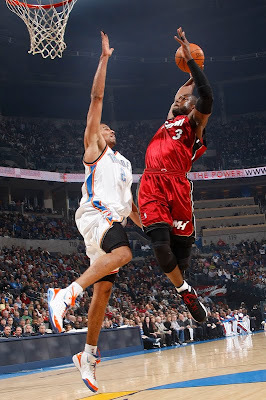 D-Wade dunkin' in the face of Thabo Sefolosha, via NBA.